I’m David Young. I live in Houston, Texas with my wonderful wife and three children (all girls! ), and a beagle. My wife and I are both graduates of Texas A&M University. I began writing computer programs when I was 8 years old. Most of them were written in BASIC on an Apple IIc running PRODOS, with only a 5.25-inch floppy disk drive for storage. However, one thing has not changed. I am still in search of the simplest, most elegant way to solve a problem, and I prefer not to reinvent the wheel whenever possible. Since these goals are not always mutually exclusive, I will share some of the discoveries I’ve made through my adventures in coding. During the day, I am a software engineer for a Fortune 500 company. When I’m not hard at work (developing and maintaining Web sites and databases, writing SQL stored procedures, etc.) I enjoy family time at home and at church, reading all sorts of books, traveling, and amateur radio. Also, programming computers is not just my profession; it is a lifelong passion – so I continue to learn about that on my own time as well. That’s why I love my job! My first memory of using a computer was in my kindergarten class in 1981, where I learned how to load a math program onto a Tandy TRS-80 Model III using a cassette tape. By the time I was 8, I had progressed to writing simple Logo and BASIC programs on the Commodore 64 and Apple IIe computers in my school library. My parents had figured out that I really enjoyed playing with computers at school, so my grandfather bought me my first computer, an Apple IIc, for my birthday. In high school, I switched to the IBM PC, and learned GW-BASIC, QBasic, and Borland Pascal for DOS. When I got to college I studied FORTRAN, C++, mainframe COBOL, HTML, Visual Basic 6.0, and ANSI SQL. 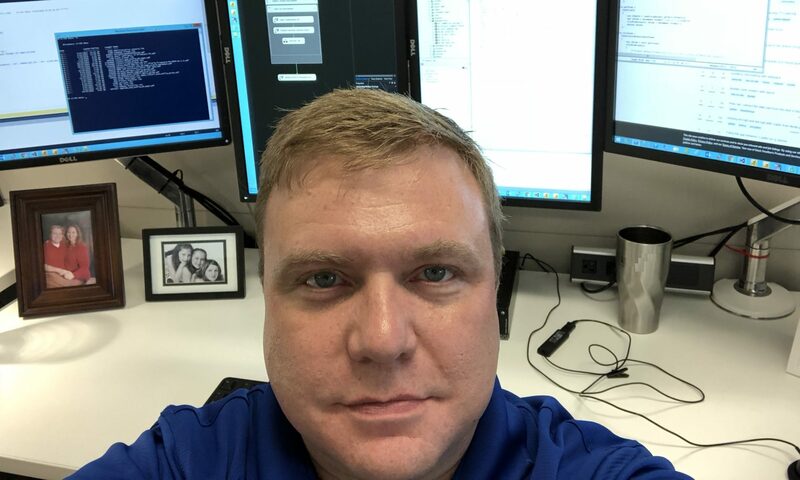 Professionally, I’ve worked with quite a few different technologies, with most centered around Classic ASP / ASP.NET Web development, Microsoft SQL Server databases, Microsoft SharePoint, and the occasional Access / Excel VBA or legacy Windows console application thrown in for good measure. I am currently learning to develop Web applications using Ruby on Rails on my MacBook Pro. Developer with more than fifteen years of experience as a programmer and information technology generalist with various Fortune 500 companies. Member of Google Glass Explorers program. Expertise includes Web, database, and application development. This blog is self-hosted on Linux with WordPress displaying the WordPress theme Twenty Seventeen. The main font used in this blog is Futura Medium, from the Futura typeface. Macs and other clients with Futura already installed will display their built-in version of the font, but other clients will see the one by Linotype.